OKLAHOMA CITY -- Deborah G. Smith, Director of Child Welfare Services for the Oklahoma Department of Human Services (OKDHS), is the recipient of the Spero Award from the Oklahoma Lawyers for Children (OLFC). Smith received the award on Sept. 15, 2012 at the OLFC "Evening of Hope" awards gala and fundraiser held at Science Museum Oklahoma (SMO). Spero is a Latin word meaning 'hope.' While OLFC has recognized exceptional individuals and companies for their service to children, the Spero Award has only been awarded one other time. "The OLFC Board of Directors is quite judicious about presenting awards," says Tsinena Thompson, OLFC President and Chief Executive Officer. "Deb was chosen for this award because of what can only be described as Herculean efforts and dedication during the development of the Pinnacle Plan, which OLFC believes to be the single most important reformation to child welfare in Oklahoma history." The Oklahoma Pinnacle Plan is the improvement plan for child welfare services. OKDHS settled a class action, civil rights lawsuit against its foster care system by agreeing to make improvements in targeted areas of the state's child welfare system. 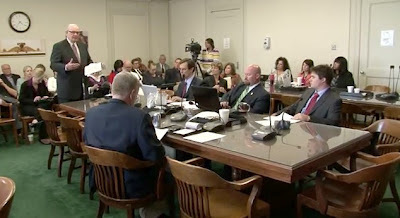 As part of this settlement agreement, OKDHS worked with its commission members and representatives from the Governor's Office, legislature, and key stakeholders in developing the Oklahoma Pinnacle Plan to guide the agency in the years ahead as it works to make improvements in child welfare services. Thompson says the implementation of the Oklahoma Pinnacle Plan is a "monumental undertaking" and that OLFC wanted to acknowledge Smith's commitment to the children of Oklahoma by presenting her with the Spero Award. "I am honored to have received the Spero Award and truly value the strong partnership we have with Oklahoma Lawyers for Children," says Smith. "The Pinnacle Plan provides hope to Oklahomans that we can and will improve our child welfare system. My appreciation goes out to all of the foster parents, OKDHS staff, OKDHS commissioners, legislators, the Governor's Office, youth alumni, Commissioner Terri White, Court Appointed Special Advocates (CASA), the Post Adjudication Review Board (PARB), tribes, and community stakeholders who contributed their ideas and expectations for the plan. We could not have created such an ambitious plan without their input, support, and commitment to change." The OLFC is the only non-profit organization in Oklahoma dedicated to providing legal services to abused, neglected and deprived children in Oklahoma County. Qualified attorneys work with the Juvenile Defender's Office to represent children - free of charge - in the Juvenile Division of the Oklahoma County District Court. OLFC provides representation of children in the custody of OKDHS in all stages of deprived hearings such as guardianship, adoption, name changes, kinship home studies, assessments of alternate caregivers, and translators. For more information about OLFC, contact their office at (405) 232-4453. OKLAHOMA CITY – Attorney General Scott Pruitt announced Wednesday that the Oklahoma Supreme Court has ordered a new multicounty grand jury be convened. The multicounty grand jury has jurisdiction to investigate criminal matters in all 77 counties, assisting local law enforcement as well as handling matters of state interest. The grand jurors meet at the Oklahoma Attorney General’s Building to hear testimony for two to three days each month. Testimony before a grand jury is closed to the public. Session dates have yet to be determined. The 14th Oklahoma Multicounty Grand Jury will again be under the supervision of the Honorable Barbara Swinton, District Judge, Oklahoma County, serving as Presiding Judge. Leading the multicounty grand jury will once again be Assistant Attorney General Charles S. Rogers, chief of the AG’s Multicounty Grand Jury Unit. The new multicounty grand jury was requested by Attorney General Scott Pruitt on Sept. 12. The state’s 13th Oklahoma Multicounty Grand Jury concluded in August with 25 indictments, charging a total of 31 individuals and was assisted by 113 state and local law enforcement agencies. 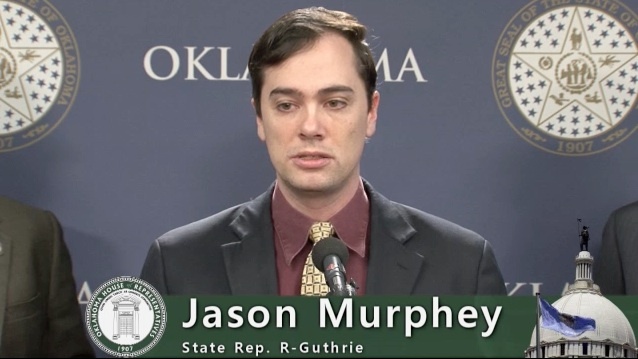 OKLAHOMA CITY – In light of the recent global controversy over freedom of speech and religion that has exploded in violent protests allegedly related to an anti-Islamic internet film, state Rep. Randy Grau said today he intends to file legislation that would repeal Oklahoma’s current blasphemy law. “Most Oklahomans would be surprised to find out that they could be charged with a crime for insulting a person’s religion,” said Grau, R-Edmond. Grau said there is an international movement underway to establish a worldwide blasphemy law that would inhibit a person’s freedom to criticize or question another’s religion. The Oklahoma statute, located in Title 21, Sections 901-903, has been on the books for more than a century. 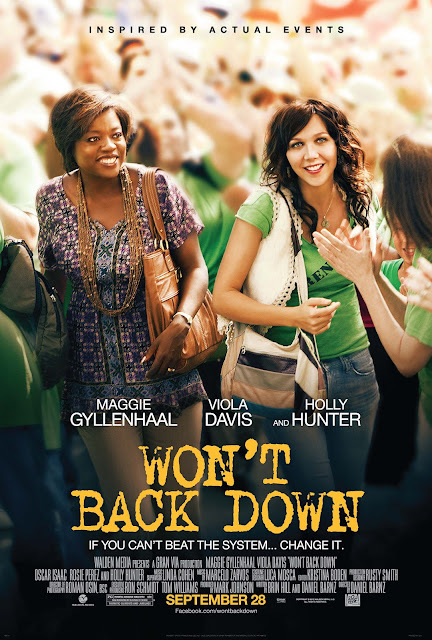 Maggie Gyllenhaal and Viola Davis play two determined mothers, one a teacher, who will stop at nothing to transform their children's failing inner city school. Facing a powerful and entrenched bureaucracy, they risk everything to make a difference in the education and future of their children. 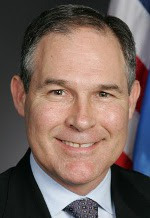 OKLAHOMA CITY – Attorney General Scott Pruitt filed an amended complaint Wednesday in Oklahoma federal court, challenging the implementation of certain provisions of the Affordable Care Act. The original lawsuit, filed in January 2011 in the U.S. District Court for the Eastern District of Oklahoma, challenged the health care act’s constitutionality under the Commerce Clause, specifically whether the federal government had the power to mandate individuals to buy health insurance as simply a condition of being a citizen. Oklahoma’s lawsuit was stayed by Judge Ronald White until the U.S. Supreme Court issued a ruling in the Florida case. In June, the Supreme Court sided with the states, agreeing that the health care law had exceeded its power under the Commerce Clause, but the Court gave authority to implement the individual mandate as a tax under Congress’ Taxing Power. Following the decision, General Pruitt filed a request with Judge White to lift the stay on the Oklahoma case, so new issues related to implementation of the act could be addressed. The judge granted the request last week, lifting the stay. With Oklahoma’s lawsuit still at the district level, the state can amend the complaint, which would not be allowed with cases on appeal. For a copy of the original and amended complaints or the state’s motion to lift the stay, go online to www.oag.ok.gov. OKLAHOMA CITY -- Ethics Commission Executive Director Marilyn Hughes today announced her retirement effective December 1, 2012. Hughes has served in her position for 25 years. She was initially appointed by Governor Henry Bellmon as Executive Director of the statutory Ethics Commission on May 13, 1987. She then continued in the same position with the Constitutional Ethics Commission, which was seated in July 1991. Oklahoma’s largest teacher’s union, the Oklahoma Education Association, recently forced out lobbyist Daniela Newville because her lobbying style was inconsistent with union’s aggressive, liberal politics, says a top state education department official. “They forced her out because she had developed good relationships with both sides of the aisle,” said Joel Robison, chief of staff for Superintendent of Public InstructionJanet Barresi, and former top lobbyist for the OEA. He said the union had become increasingly strident with its one-party philosophy and viewed its own lobbyists with suspicion when they tried to find common ground with legislators. He said those are among the reasons he quit the OEA’s top lobbyist job in 2011 to become Barresi’s chief of staff. He had hired Newville to take his place lobbying for OEA’s Western District in 2006 when he was promoted to the union’s top lobbying post that year. 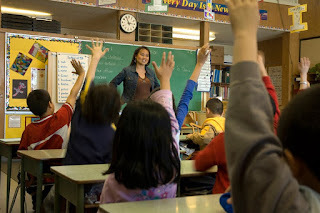 The OEA is the state affiliate of the highly liberal National Education Association. OEA leaders have a reputation for taking polarizing actions to convince policymakers to bow to their demands; they have often succeeded because of the organization’s perceived power and size. Calls to OEA officials went unanswered. Messages left on an answering machine and emails seeking comment were not returned. 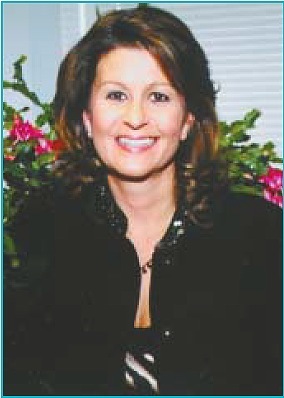 Contact Stacy Martin at stacy@oklahomawatchdog.org or follow her on Twitter @capitolbeatok. OKLAHOMA CITY – Governor Mary Fallin today made an unannounced visit to the Northern Oklahoma Resources Center of Enid (NORCE) to get a firsthand account of the operation and care delivered at the facility. Last week, the governor made a similar visit to the Southern Oklahoma Resources Center (SORC) in Pauls Valley. During the visits, the governor spoke with administrators, staff and clients, toured the property, got an update on the condition of the facilities and was given a briefing on the types and quality of services provided to clients. Later this year, the Department of Human Services Commission is expected to consider a proposal to determine the future of both facilities. OKLAHOMA CAPITOL-- Children in foster care often have higher rates of disease than their peers, and as a group they experience poorer health and social outcomes as adults. Can these outcomes be changed? That is a question that will be discussed as the Oklahoma Department of Human Services (OKDHS) Fall Lecture Series continues. “Fostering Hope: Making a Difference in Foster Care” will be presented Tuesday, October 9, from Noon to 1 p.m. at the Oklahoma History Center, 800 Nazih Zuhdi Drive in Oklahoma City. Dr. Deb Shropshire is a pediatrician with OU Children’s Physicians in Oklahoma City, and also serves as the medical director for foster care for OKDHS. She assists case workers; works on projects related to foster health issues and provides training on the health of foster kids. Additionally, Dr. Shropshire provides medical care to children at the Pauline Mayer foster shelter as well as OU’s “Fostering Hope” clinic. She likes to engage her audience in the story of foster kids, and encourages others to speak up for those who cannot speak for themselves. The Practice and Policy Lecture Series has been developed to provide thought-provoking presentations on Oklahoma's emerging policy issues, trends and best practices. The series is sponsored by the OKDHS Office of Planning, Research and Statistics and the University of Oklahoma Center for Public Management with the goal of providing the best educational opportunities available in a forum that offers participants an opportunity to question, share and learn. All lectures are free and open to the public. For more information contact the Office of Planning, Research and Statistics at (405) 521-3552. View the complete lecture series lineup at: Practice and Policy Lecture Series website Practice and Policy Lecture Series website (Link opens in new window). 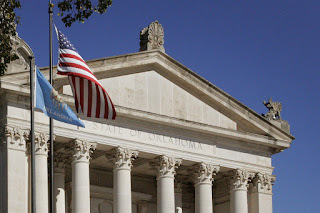 OKLAHOMA CITY – Average Oklahomans come into contact with administrative laws frequently, former administrative law judge Gary Payne told lawmakers today. Administrative law is created by state agencies when lawmakers enact legislation that authorize agencies to create rules. Administrative law judges interpret these laws and try cases affecting everything from professional licenses to corporate regulations when a state agency takes action against those they license or regulate. 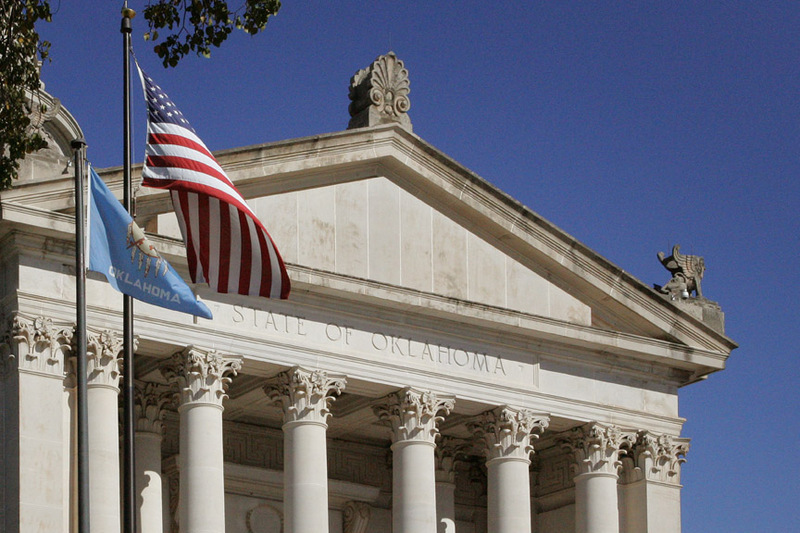 In Oklahoma, administrative law judges are often imbedded in or contracted with by the state agencies, creating an inherent conflict of interest, according to state Reps. Jason Nelson and Joe Dorman, who jointly requested the study. Lydia Lee, an administrative law judge for the Oklahoma Merit Commission and the Oklahoma Department of Labor, said agencies cannot all be treated in the same manner. She also said that she is aware of cases in which citizens were not properly served. Lee and Kay Floyd, another administrative law judge, said the Oklahoma Merit Commission is an excellent example of an appropriate process. Five sets of procedural rules govern administrative law judges, Floyd said. She also noted that licensed administrative law judges are observed by colleagues, who can turn in complaints to them to the Oklahoma Bar Association or Council of Judicial Complaints if actions are inappropriate. Hearing officers are not licensed and have less oversight of their actions, she said. Tony Mastin, executive director of the Oklahoma Tax Commission, said he does not believe moving around the location of administrative law judges and hearing officers will improve the perception of impartiality or increase impartiality. 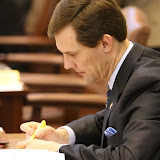 Nelson and Dorman co-authored a bill to address administrative law judges in the 2012 legislative session that failed to make it through the process. They plan to file a new bill for the 2013 legislative session, Dorman said. OKLAHOMA CITY – Jared Saxton, Managing Partner of BlueLid Technologies, gave Oklahoma lawmakers a lesson in technical legislative processes today. Saxton spoke to the Oklahoma House of Representatives Government Modernization committee about the work of BlueLid Technologies on an XML-based legislative content system to replace an outdated system used by the Iowa Legislative Services Agency. Iowa’s old content system had multiple problems, Saxton said. It was difficult to train staff on its use, to publish content, to generate tables and indexes and to implement new content projects, he said. The XML-based LINC system created to replace it created production efficiencies and flexibility to get content out to the general public faster and in more forms. It was also more user-friendly for staff members. State Rep. Jason Murphey, who requested the study and serves as chair of the committee, said the presentation was informative. Saxton said Iowa has spent about $5 million on the new system. 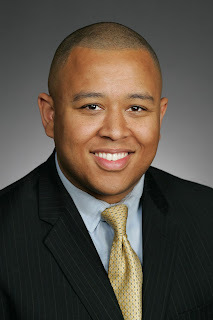 House Director of Information Technology T.J. Robinson said he also enjoyed the presentation. “There are definite improvements that an XML-based system would bring to the technical side of the legislative process, but lawmakers will have to decide if the cost of these improvements are acceptable,” said Robinson. Murphey said he will be looking deeper at the potential cost-savings created by the improvements. 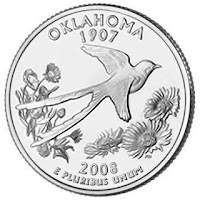 OKLAHOMA CITY – Total collections to the state’s General Revenue Fund slowed in August, but sales tax growth remained a silver lining for the Oklahoma economy, Secretary of Finance Preston L. Doerflinger said Wednesday. "Our overall collections have been diminished by low energy prices in the final months of the last fiscal year, plus refunds made during the first two months of Fiscal Year 2013," Doerflinger said. "And the drought undoubtedly has had some negative effect. But those factors haven’t dampened consumer confidence." The finance secretary, in releasing his monthly General Revenue Fund report, added: "We’ve also seen lower than expected personal income tax collections, but part of that is related to the timing of the remittance of withholding taxes. This has been overcome largely by sales taxes, which beat prior year collections by double digits over the first two months this fiscal year." Total collections to the General Revenue Fund for the month of August were $386.4 million, down $28.4 million and 6.8 percent from a year ago. The amount collected for the month was $17 million and 4.2 percent lower than the estimate. It was only the third time since April, 2010, that monthly GRF collections had been below both prior year receipts and the estimate. Doerflinger said it is important to note that despite the lull in personal income and oil and natural gas tax receipts, total GRF collections for July and August were still above the estimate by 0.4 percent. Sales tax collections, however, beat the estimate by 4.1 percent in July and by 6.3 percent in August. Sales tax receipts in August also exceeded the prior year by 12.1 percent. "It’s too early to proclaim a slowdown in the Oklahoma economy, which has had an incredible rebound from the recession over the past two years" he said. "After all, sales tax growth is perhaps the leading indicator of our economic strength, our corporate taxes are up and our 4.9 percent unemployment rate is the envy of neighboring states. "Gov. 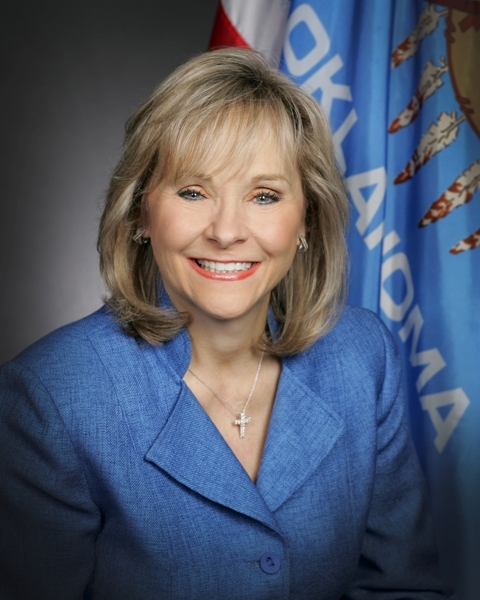 Mary Fallin has gained national attention for her job recruiting efforts and for her pro-growth policies that have helped the Oklahoma economy recover. Our constitutional Rainy Day Fund now has a near-record $577 million in it after being completely drained as a result of the recession. In short, the Oklahoma economy appears to have a lot of power and vitality moving forward." Doerflinger said his only real worry at this point stems from external factors such as financial troubles abroad and the failure of the president and Congress to reach an agreement on the federal budget. "I hope another national financial calamity does not happen," he said, "but it’s critical to be prepared just in case. I applaud Speaker-designate T. W. Shannon’s plan for a legislative study to develop contingency plans in the event Washington doesn’t gets its act together and that leads to massive cuts in federal funds going to the states. "At the Office of Management and Enterprise Services, we have requested agencies to notify us as we go through the budget request process of any known impact from the sequestration provision of the federal Budget Control Act. That will give us a sense of which programs will be subject to cuts if the federal budget issues are not resolved and automatic reductions are triggered." Governor Fallin said, "The latest revenue report paints the picture of an Oklahoma economy that is fundamentally sound. While some collections have slowed, overall revenues in this Fiscal Year continue to be above initial estimates and sales tax revenues continue to grow at a strong clip. Furthermore, other economic indicators – like the state’s 4.9% unemployment rate – remain strong. "Our recent economic success, however, won’t continue unless we continue our laser-like focus on pro-growth reforms. For Oklahoma to continue its forward momentum we will need to continue to pursue job creating policies here on a state level." The Governor added that "Oklahoma will continue to be affected by national and international forces that remain outside of our control. Global energy prices, uncertainty surrounding policies from Washington, and the potential for massive military spending cuts under ‘sequestration’ all have the potential to dramatically impact our economy and our revenue collections. As governor, I will continue to advocate for those policies that support Oklahoma job creation and economic growth." General Revenue collections for the first two months of the new fiscal year were $775.5 million, down $22 million or 2.8 percent from the same two months of FY-2012 but remained $3 million or 0.4 percent above the estimate. Oklahoma's top higher education official said he's optimistic about the state's college completion goals — but only if lawmakers find money to get the job done. OKLAHOMA CITY (Sept. 12, 2012) – Ten Oklahoma elementary schools recently were named K20 STEM–Building STEM-Ready Elementary Schools. The first-time designation comes with grant funds for teacher training at the schools in the areas of science, technology, engineering and math. The program is sponsored by the Oklahoma State Department of Education in collaboration with the K20 Center. "Congratulations to these schools," Barresi said. "They will become role models for others to follow." K20 STEM is designed to meet the need of improving K-6 science, technology, engineering, and mathematics [STEM] across the state. The overall goal is school improvement that lays the foundation to prepare students for college and STEM careers. The results will be increases in teachers’ STEM content knowledge and increases in use of research-based practices by PK-6 teachers as well as increases in student success in Oklahoma College, Career, and Citizen C3 curriculum, especially science and mathematics. The State Education Department allotted $300,000 for training and teacher salaries and benefits for about 200 teachers at the ten schools participating in the first year of the project. The project will impact about 3,750 students in their classrooms and will serve as a model for other schools and classrooms. State Department of Education math and science directors will work in partnership with K20 Center STEM specialists to train teachers in the ten elementary schools throughout the year. 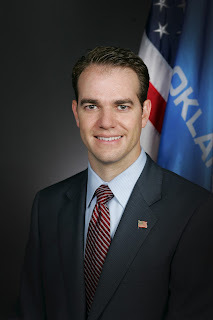 OKLAHOMA CITY – State Rep. T.W. Shannon said last week he will be conducting a legislative study to examine contingency plans for scenarios in which state agencies lose federal funding due to potential federal budget cuts. Shannon’s goal will be to require every state agency to develop a contingency plan for when cuts occur, he said. Shannon said he will release more details of the study, which will take place in October, at a future date. 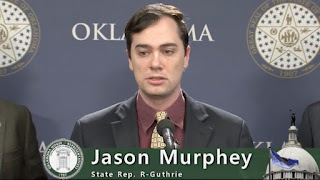 State Department of Education - In 2011, the Oklahoma Legislature adopted an A-F School Grading System to provide incentives to schools for challenging all students to reach high levels of college and career readiness. The new A-F report cards will make school performance clear in a transparent manner easily communicated to the public. The State Department of Education has compiled a new guide booklet on the A-F Report Card system. This new guide walks administrators and educators through the major components that determine a school’s letter grade — student performance, student growth and whole school performance. The guide also includes a number of in-depth items, such as calculation scenarios, information on bonus items and more. Report cards will contain information that, depending on the school, may demonstrate success in one or more specific areas even if the school receives an overall lower letter grade. The State Department of Education is already working to provide resources designed to assist schools that receive a lower letter grade. A-F School Grading System report cards will be released in early October along with the launch of a website providing public access to school grades. MYTH - At least 80 percent of Oklahoma schools would receive an F under this system, with little chance to improve to C and never an A. ➢ FACT - Early simulations of calculated grades show that no more than 2 percent of schools would receive F’s under the new system. Upwards of 10 percent would receive A’s. 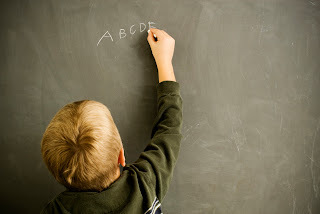 It is likely that 60 percent of schools would receive A’s and B’s in the first release of letter grades planned for August 2012. Fundamentally, however, an A-F reform should incentivize excellence, not reward mediocrity. The new A-F reform should not be stacked to inflate grades, but should instead focus on real results. ➢ FACT - The new A-F system is a step forward in transparency and accountability. An essential first principle of such reforms is that taxpayers deserve to see a return on their investment. Taxpayers invest in public education throughout the state and deserve to see unambiguous information. 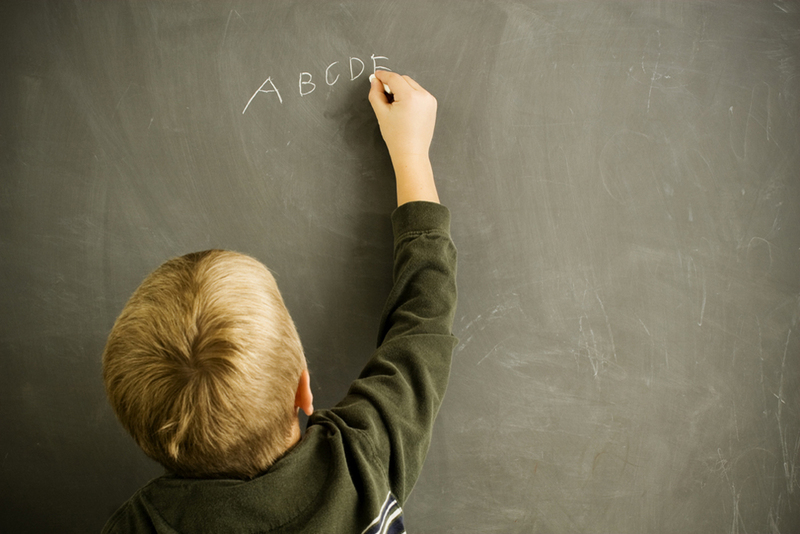 Currently, the state operates on two systems: API and No Child Left Behind. Both systems are more complicated and less transparent than A-F. Because A-F is replacing two systems, it is actually streamlining accountability and cutting through the clutter of information. MYTH - People will move away from areas with low-performing schools. 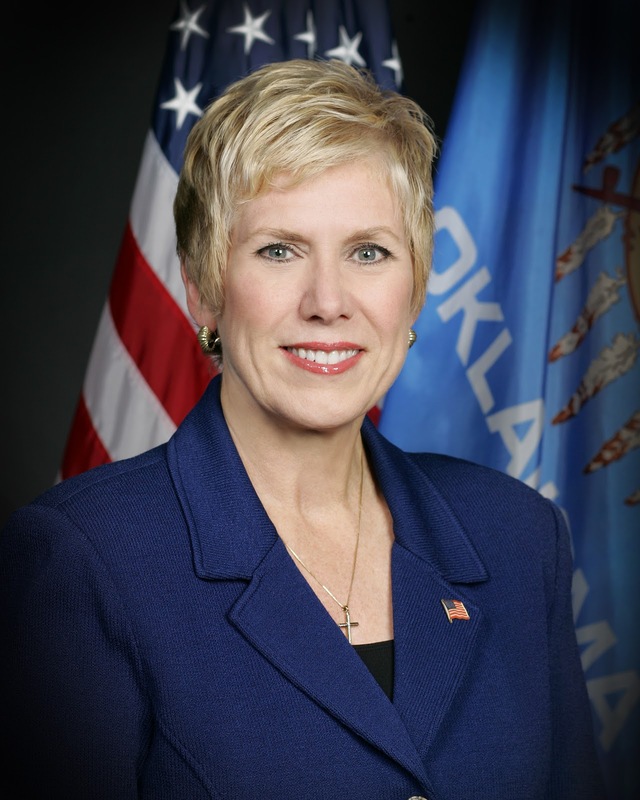 State Department of Education - State Superintendent Janet Barresi on Friday announced six Oklahoma schools had been designated as Blue Ribbon Schools. The schools are among 269 national Blue Ribbon Schools. Exemplary High Performing Schools are ranked among a state's highest performing schools as measured by state assessments; Exemplary Improving Schools are schools with at least 40 percent of the students from disadvantaged backgrounds that have reduced the achievement gaps by making the most progress in improving student performance on state assessments. “The fact that we have elementary, middle and high schools on this list and schools from rural and urban communities shows that improvement can happen in every area,” Barresi said. The six schools were nominated by the State Department of Education in January, based on assessment data. The number of applicants in each state is determined by the number of schools and K-12 students. Once schools are nominated, they must be willing to go through an intensive application process with the national Blue Ribbon office. Blue Ribbon schools do not receive a monetary award but are recognized for effective teaching. The U.S. Department of Education will recognize the 219 public and 50 private schools at a ceremony Nov. 12-13 in Washington, D.C. In it’s 30-year history, the National Blue Ribbon Schools Program has bestowed this coveted award on nearly 7,0000 of America’s schools. For more information on Blue Ribbon Schools or to see a list of past winners, go here. A hard press for transparency has led Oklahoma’s first Republican state education superintendent to post more detailed financial data on her agency’s web site. The latest shocker: Oklahoma’s bloated education system is partly inflated by the $184 million in salaries alone that taxpayers are paying about 2,700 school district administrators. Pressures for transparency from Oklahoma Watchdog, CapitolBeatOK and lawmakers propelled agency reporting into the open. In evaluations, the website Sunshine Review gives the State Department of Education and other Oklahoma state agencies a “B” for transparency. State Superintendent Janet Barresi posted district administrators’ salaries prominently on her website so interested taxpayers could easily locate them. Baressi would not say what she thought of the expense, leaving that to website visitors. “I’ve said from the beginning that I am against forced consolidation of school districts,” she said in a statement to CapitolBeatOK. “No matter what I think about this issue, this needs to be a decision that is driven by local teachers, parents and individual school districts that are making decisions for their local areas. “My focus is on reducing administration costs by building in efficiencies wherever possible to get the most money into the classrooms as we can. We do this by offering purchasing co-ops where possible, such as for instruction or for transportation, so that we achieve economies of scale. Barresi was elected as a reformer. Voters, particularly conservatives, were anxious to contain runaway education costs they’d been bloodied with for so long under decades of Democratic leadership. During those years, state education appropriations spiraled to one-third and often more of the total state budget. The new superintendent has shaken things up, redirecting some funding to preschool education, virtual schools and reducing state aid to districts losing students, who are the primary driver of district funding. The latter is what state law directs her to do. More recently, she worked with seven superintendents to participate in a voluntary, shared-resource program, which will cut superintendent costs for six districts too small for full-time leadership. The $8-million voluntary consolidation fund was put into place by the Legislature several years ago. As one might expect, Barresi’s approach has won mixed reviews. But she plows on, focusing on the most difficult task of all – trimming overhead. Historically, the most difficult hurdles have been legislators, and even constituents. They, plus the National Education Association labor union’s state affiliate — the Oklahoma Education Association — angrily call lawmakers whenever school consolidation talk stirs, despite the obvious tax savings. Last year, legislators successfully repealed the “trial de novo” law. It had given dismissed teachers automatic recourse to district courts. The repeal may reduce school district costs when boards of education try to fire underperforming educators. It was an acknowledged blow to the OEA, but the group’s general counsel threatened to make school boards miserable if they try to fire an OEA member. The OEA has not responded to a request for comment on the new data. Oklahoma State Capitol - This blog passed 75,000 hits today. Thank you for using this site as a source of information. I don't cover every issue at the Capitol but I do work hard to give readers the high points of education and human services issues along with postings on other timely topics of interest. I continue to add helpful state government links in the right-hand columns. I've created additional pages on this blog to provide a quick reference to some of my major legislative initiatives. In fact, that is why this Blog was created - to provided information and answers to anyone interested in these initiatives in one location that is accessible day or night. You can follow this blog directly through subscription services located in the right-hand columns or keep track of postings through Facebook and Twitter. Links to these accounts are also in the right-hand column under Contact Information. I hope you continue to find this Blog helpful and please feel free to share it with others. OKLAHOMA CITY – The Office of State Finance is no more—now it's the Office of Management and Enterprise Services, effective Friday, Aug. 24. "This name change reflects our agency’s expanded role under a 2011 consolidation law that folded four other important agencies into the OSF," said Secretary of Finance Preston L. Doerflinger, who worked with legislative sponsors and the administration of Gov. Mary Fallin on the government modernization effort. Although the name change did not take effect until Friday, the four agencies became part of the OSF a year ago. They were the Department of Central Services, the Office of Personnel Management, the Oklahoma State and Education Employees Group Insurance Board and the Employees Benefits Council. "This has been an enormous undertaking that has improved services and saved taxpayers millions of dollars, and we’re just getting started," Doerflinger said. "We have several projects in the works, including those that will improve state government transparency. "The cornerstone of our efforts is to create an agency that is FAST—flatter, agile, streamlined and technology-driven. We have made many strides toward that objective." The Office of Management and Enterprise Services, or the OMES, will have eight divisions. The core Administrative Division will continue to be located at the State Capitol, where the OSF has performed budget and revenue reporting functions since it was created in 1947 as the Budget Division of the Executive Branch. Carol McFarland has been serving as interim director of the OSF since Doerflinger agreed earlier this year to fill in as interim director of the Oklahoma Department of Human Services on a temporary basis. Doerflinger will return to the finance agency when a permanent director of the OKDHS is named. McFarland was earlier chosen by Doerflinger to be transition project manager for the consolidation project. She said she also is pleased by the streamlining progress. "We’ve already found millions of dollars in savings, while improving services to the public, state agencies and employees," McFarland said. Among the divisions of the OMES is the Information Services Division, which also is headed by a cabinet-level official, Alex Pettit, the state's first chief of information technology. Other sub-groups of the OMES include the Central Purchasing Division and the Division of Capital Assets Management, which formerly were parts of the Department of Central Services. Also, the Budget, Policy and Communications Division; the Employees Group Insurance Division (formerly the Oklahoma State and Education Employees Group Insurance Board); the Division of Central Accounting and Reporting, and Human Capital Management, which incorporates the former Employees Benefits Council and was formerly known as the Office of Personnel Management. Oklahoma State Capitol - After experiencing several years of extensive growth, state collection of fees on tribal gaming are showing signs of leveling off. While fees paid to the state by tribal nations for use of electronic and card games covered by compacts has grown from $14.2 million in Fiscal Year 2006 to $123.9 million in Fiscal Year 2012, officials believe collections could be at or near their peak. Read more in Treasurer Ken Miller’s Oklahoma Economic Report released last week. Oklahoma Department of Education - (Aug. 29, 2012) Oklahoma high schools recently received ACT scores for students tested during the past school year along with information showing how prepared students are for college-level coursework. State Superintendent of Public Instruction Janet Barresi said the scores give schools guidance in areas where more attention and rigor is needed. A total of 29,342, or 80 percent, of the Oklahoma graduating class of 2012 took the ACT exam at least once this year, up from 76 percent in 2011 and a record high. The average composite score for the state is 20.7, a number unchanged since 2007, and below the national average of 21.1. The ACT is graded on a scale of 0-36. The State Department of Education last week released state scores and the percent of students meeting college readiness benchmarks set by ACT. This release shows composite and sub-scores in core subject areas. 20.6 in science, the same as the state score from last year and below the national average of 20.9. Both composite scores and sub-scores for each public high school in the state have been posted on the State Department of Education website. ACT scores determine whether students enrolling in post-secondary institutions are required to take remedial courses. The state Board of Education requires every high school principal to present ACT scores for his or her school each year along with college remediation rates at their local, public board of education meeting. The statewide average remediation rate for first-time freshmen entering college in the fall of 2010 – the most recent number available – is 41.9 percent, according to the state Regents for Higher Education. This is down from almost 43 percent in 2009-10. State Superintendent Barresi said she’s encouraged that fewer freshmen are entering college needing remediation and wants to see that number continue to drop. “We’re starting to see that go in a positive direction,” she said. 3 percent were Asian American, the same as last year, with an average score of 22.7, up from 22.4 in the state for 2011 but below the national average of 23.6. Barresi said this picture shows that educators need to continue their focus on having minority populations participate in Advanced Placement courses. “We want an equal opportunity for all students to succeed,” she said. While average sub-scores in the state are only slightly behind the nation, the number of high school graduates meeting college readiness benchmarks in the state shows a 9 percent lag behind the nation in math and five percent below the nation in science. Only 20 percent of graduating seniors met benchmarks in all four subject areas. Benchmarks represent the level of achievement students need to have a 50 percent chance of securing a B or higher or a 75 percent chance of receiving a C or higher in entry-level college courses. ACT benchmarks are 18 for English composition, 21 for social sciences (reading), 22 for algebra and 24 for biology. Only 37 percent of seniors tested in Oklahoma reached the mathematics benchmark, but that is up from 35 percent in 2011; and only 26 percent met the science benchmark, but that is also up from 25 percent in 2011. Barresi is asking educators to double their efforts in helping a greater number of students achieve higher scores in these areas in the future.